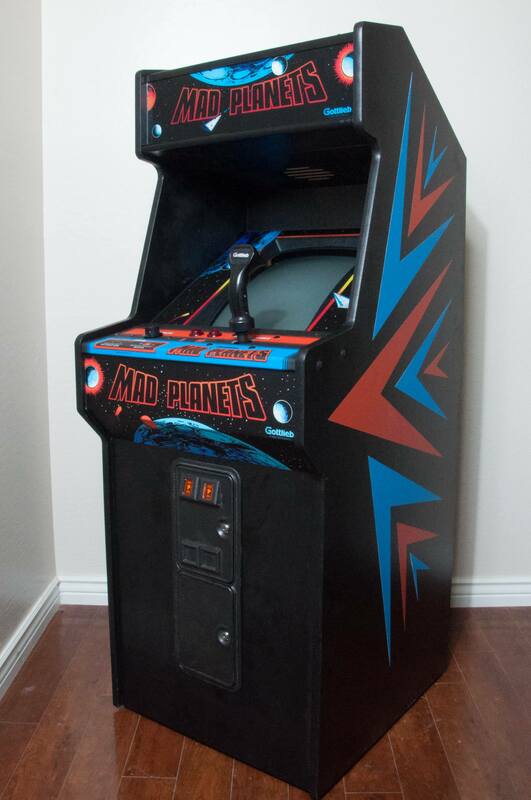 I was hoping to solicit some feedback from anyone who has used the plans from www.classicarcadecabinets.com. If you have corrections, suggestions, or updates that need to be done, it would be appreciated if you would let me know. Additionally, if anyone has successfully used the plans, please let be know so I can mark the plans as verified and bump the scores. Also, I would love to post some pictures of peoples builds as well. 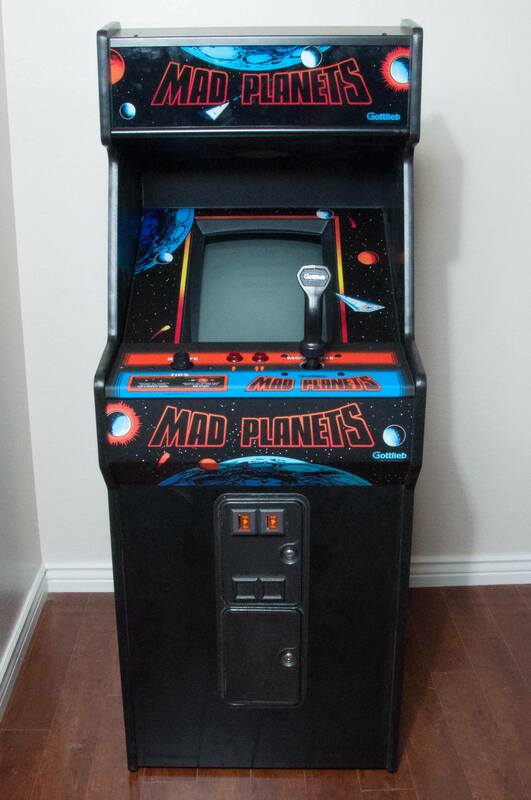 Re: Classicarcadecabinets. Com feedback needed. Thanks.... Any issues with the plans? Would you be OK with me posting your pictures to the website and giving you credit for the build? Let me double check with the customer it went to before you do that, they assembled it & painted. It's cool with them. Oliviarium on KLOV assembled & painted. The website has been updated. Anyone else use the plans? I've printed the plans for a Stargate Mini and plan to start a build soon. It is a great site and I've enjoyed looking through the plans you have put together. Thank you for taking this on. I used the Robotron upright plans for an initial reference but I ended up redrawing the whole thing since some of the measurements didn't seem to match up with the ones I knew. 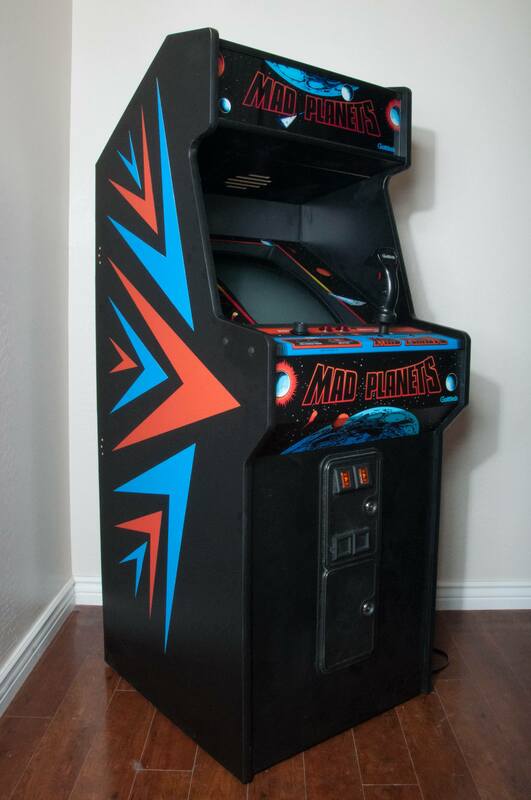 Like the width between the sides I believe the plans on the site had the parts listed as 25" but the control panel artwork, control panel blank, and marquee from ArcadeShop as well as the glass bezel I bought led me to make the width 24 3/8". Plus I decided I wanted the bottom to curve under the control panel back towards the coin door panel. There were 2 Robotron profiles I found when searching and I picked the curved one. I used the overall height from your plans to scale the profile for tracing in my design program. I basically just started buying parts and then tweaking the plans to fit the real parts I had bought. I did use the plans for things like how far down to space the coin door and some of the positioning for the back panels with oval cutouts. I used the tempest cabaret plans to CNC my 720 cabaret build. The only thing that seemed wrong was that the width was about 1/4" wider than the atari cabaret control panel from Highscoresaves. A nice thing to have in the plans would be some sort of indication of angled cuts especially when you don't have a complete set of reference photos. I kinda had to guess when doing some angled cuts on my table saw. Other than that, it definitely made this build a lot easier. Yeah I had to figure out the angles too but I got it done. Thanks for the additional feedback. I am a bit surprised about the Defender plans. I had the plans listed as verified and actually used to build a cabinet. My guess is that I didn't have the drawings well labeled to illustrate the dado cuts on the panel. I would look fine as a pocket cut for someone who uses CNC regularly.... But I may have not articulated it well for someone who is not familiar. This would make everything wider on the cabinet. My guess is that this is the cause....... But I will go back and verify. The Tempest cabaret plans should be really close. I have cut this cabinet myself nearly half a dozen times..... But I believe I had reproduction panels as well. I think I have a Centiede cabaret control panel lying around that I can verify against. As far as the angle cuts for panels (such as the top of the cabinet), I have been getting better labeling the panels, but many of the earlier plans are not well labeled. In all situations, the plans reflect the sized panel being initially cut by CNC, which usually only does 90 degree cuts. It will then have to be angle cut using a table saw for the angle......so all of the panels requiring angle cuts will be slightly oversized. Hope this helps. Thanks for all of the additional feedback everyone. Also, originally I was hesitant to put the angles cut on the plans, since many of the original cabinets had the angles inconsistent (measured at 20 degrees but actually should be 33 degrees based on cabinet shape). When this variation occurs, I list it as a measured angle, otherwise, I just list the angle of the cut. You just said Defender but I think you were referring to my Robotron comment. That's entirely possible that I did not recognize the boards were oversized for dado cuts. I wasn't going to use dado cuts. When the plans said 88% accuracy as an engineer I didn't trust them enough to use dado cuts that are non-forgiving. I'm not trying to be 100% accurate to the original but I do want the parts I'm buying to fit properly. The way I built mine was I used support trim pieces (3/4" x 3/4") for the top, bottom, coin door panel, and the upper and lower back panels. Then I mounted the control panel to be centered in the curved area and mounted to the coin panel. Then I built the marquee area which I had to design my own bracket since they don't seem to sell the plastic trim they used to use. Then I mounted the speaker grill. At that point I was able to flip it over and lay the bezel in place and then brad nail in trim boards on both sides to support the bezel at the angle created between the speaker grill and the control panel when the bezel laid across that area. So I wasn't positioning all that stuff based on plans I was kinda building it to fit. I understand the concerns around scoring. I was a mechanical engineer by study, spent some time in manufacturing and was a quality manager for a couple of years. I tend to be really hard on scoring cabinets and prefer people to be suprised at how well things turned out. Many people do not understand that by cutting something with CNC does not eliminate the need for some minor wood working abilities to assemble a final cabinet. My overall mindset is that I only post plans that I think are very good. Measurements have to be spot verified by someone other then the submitter of the plans before I will post without the warning banners. Anything that is scored in the 90s has been built from the plans, is complete, and will assemble as cut. Items scored in the high 90s have high level of detail such as drill marking for for things like mounting marquee lights fixtures, bolt holes for power supplies, blocking and rails for mounting PCB cages, etc.... The highest score I will give out is a 98% unless it is a 1:1 copy of the original build plan blueprints for the cabinet. Scores in the 80s have the same scoring criteria as above, but a cabinet has not yet been cut from the plans. They may be perfect, or have some minor variations..... but the proof is in the cutting and assembly. I have very few plans posted in the 70s. The only ones here that come to mind are the Taito trimline plans. For these plans, many of the plans share the same cabinet, but may have a different monitor orientation or a different coin door. The cabinets scored in the 70s reference the wrong coin door or monitor orientation.... but it is identified in the notes. Part of the problem with these cabinets is that many were recycled between games (some even at the factory) and there is not good consistency in which configuration should be for which game. All of these plans will cut and go together well... but they are scored so low because you may have to modify the coin door or monitor frame per your needs. Of the plans that have the giant red banners and warning, many of these plans should be in the high 80s or 90s with score, but no one has volunteered to spot check the measurements. The warnings are in place until this occurs. Many of these plans were provided by or purchased from people who have cut cabinets via CNC, so I would expect them to go together nearly flawlessly... but they still need to be verified. Well at this point I'm pretty much done...just working on painting it. I designed the entire cab in SketchUp, then designed the flat pieces in Aspire, and everything was cut using my CNC. My table is only capable of around a 4'x4' piece so I had to create tiled toolpaths to cut the side panels.